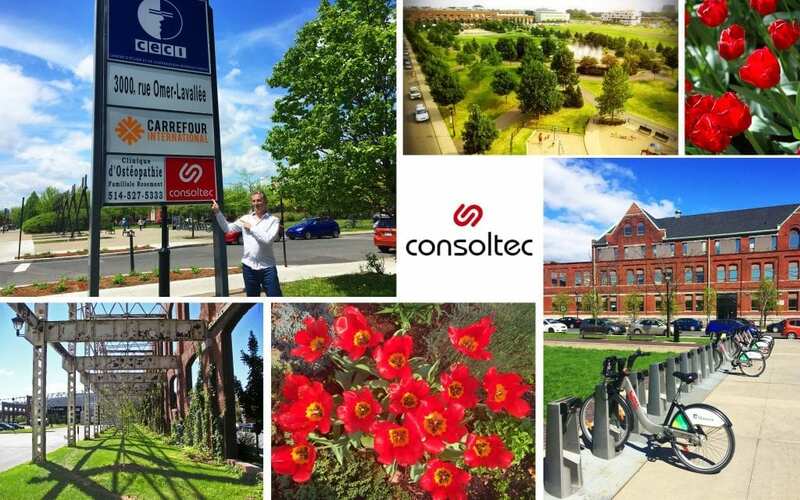 Consoltec at Technopole Angus - environmentally friendly area! buy viagra brand online isotretinoin cheap on online Consoltec’s office is located at Technopole Angus in Montreal, Quebec, an urban area where sustainable development is a daily concern for all residents. Many companies have already selected the Technopole Angus by moving into environmentally friendly buildings that meet LEED standards. This commitment to Environment is accentuated by the introduction of recycling and composting corporate programs. More than 2500 workers come to this area every day using various methods of public transport and active form of transportation like bike and rollerblades. This ecological space is more than just a business district. Residents and daily workers, allow local businesses to benefit from a larger clientele. In the upcoming years, the Technopole Angus plans to build a LEED “urban village”. With a million square feet available, this technopole will become a “must” for workers and families. Eventually, 400 houses will be available to residents. More than 450 000 square feet will be dedicated to office space and about twenty local businesses should emerge. To make this new “urban village” an attractive environment, parks and public squares will be accessible. The Commission Scolaire of Montréal is even considering building a new public elementary school with 400-seats. All of this in accordance with LEED standards and aim to obtain LEED-ND PLATINUM certification for the overall project. Consoltec Inc., is a proud participant to this environmental project. We consider protecting the environment one of the most critical issues of our time! This commitment enables us to defend our ethical values and work under the best possible conditions. Our team enjoys a pleasant business environment and benefit from a lot of local enterprises like cafés, tasty restaurants, ice cream shop, florist, supermarket and green spaces around the office. For kids, two daycares give priority to employees of businesses located in Technopole Angus.